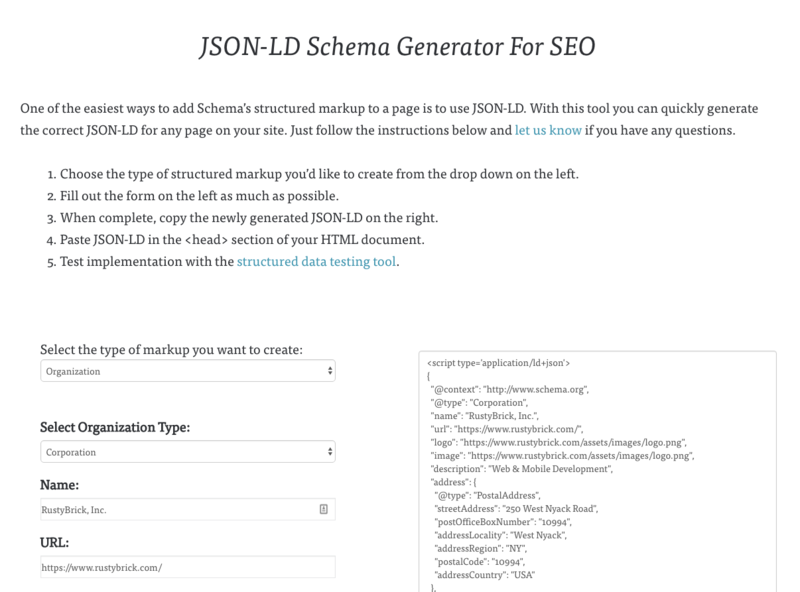 Joe Hall was cool enough to make a JSON-LD Schema Generator tool for SEOs. The tool is very easy to use, you pick what Schema structured markup you want for a specific page and then fill out the form to the best of your ability. When done, copy and paste that code into your source code for that page and presto - you got schema markup on your page. The types supported are local business, product, person, organization, event and web site, with subtypes for many of those. You can access the tool over here.